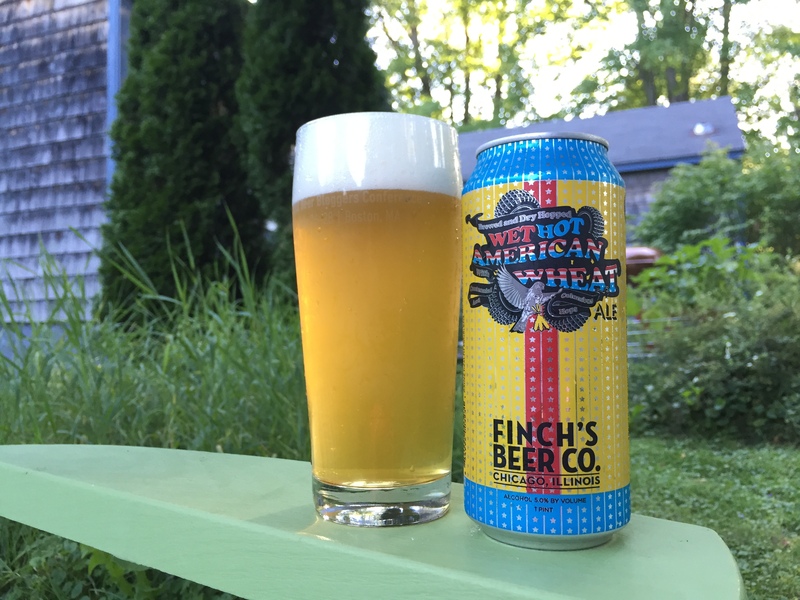 A few weeks back I watched Wet Hot American Summer with my wife, I’d never seen it, last week the new Wet Hot American Summer: First Day of Camp was released on Netflix and somewhere in between I bought Finch’s Beer Co. Wet Hot American Wheat ale. The beer got shuffled to the back and I dug it back out last night to drink while I watched the first episode on Netflix so I reviewed it. Wet Hot American Wheat pours a hazy yellow-gold color with a frothy white head. I poured it into a taller glass to accommodate the entire 16oz can, it’s a welcome sight on such a hot day. Nose is hop forward, fresh cut grass and hints of citrus. Behind the hop the malts come through as fresh baked bread, I don’t pick up any distinct yeast aromas. Wet Hot American is surprisingly well balanced, I expected it to be hoppier based on the aroma. It’s a true wheat beer with none of the spice and fruit esters you would find in a hefeweizen, instead it’s clean and crisp with a touch of grass and mild bitterness from the hops and a slightly dry finish. The body is a bit thin but I think this works perfect in the heat where I’d prefer a beer to be a thirst quencher and not feel like I’m chewing on a piece of bread. 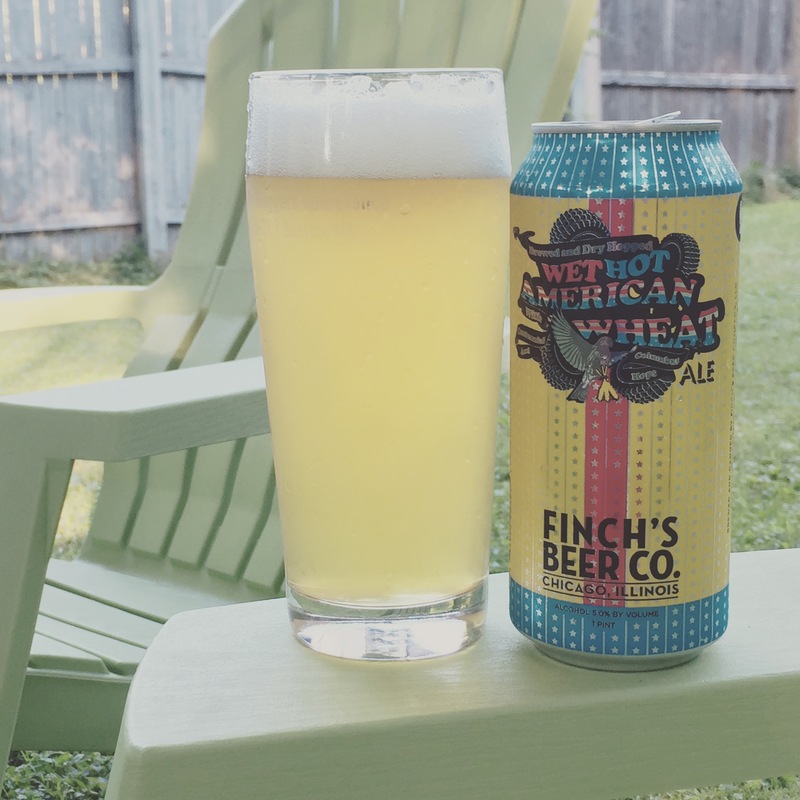 Wet Hot American Wheat is a seasonal release from Finch’s Beer Company and it makes perfect sense, I would happily buy this beer again and take it to camp to drink lakeside but it’s not one I’d reach for when the weather cools off. I’d recommend this to most anyone, hops are a key player in the aroma and flavor but it’s not overdone, making Wet Hot American Wheat a very approachable beer.